Is the Shoulder Pad Attachment right for me? 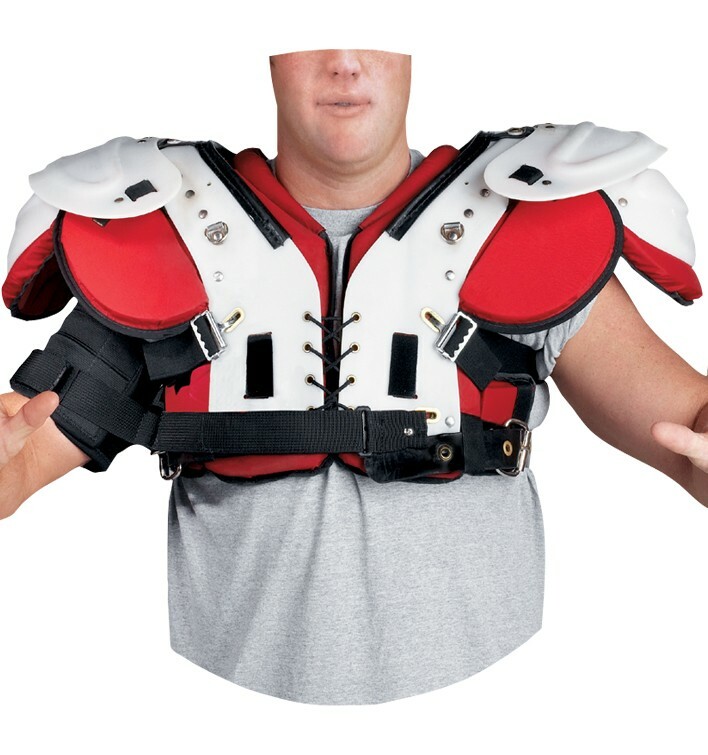 Designed for those in contact sports who wear shoulder pads with glenohumeral instabilities. Try our Brace Advisor for personalized product recommendations to meet your needs! With the increasing physical demands placed on contact athletes, the need for cooler and more advanced shoulder joint protection has increased dramatically. As such, DJ Orthopedics is very pleased to announce the launch of the DonJoy Shoulder Stabilizer Shoulder Pad Attachment (SPA). This product was designed with Dr. Tom Sawa and Mr. Tory Aggeler, MA ATC/L and is based on the proven efficacy of the Shoulder Stabilizer. 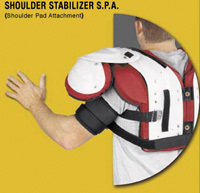 Easy to Use - Arm cuff and straps attach directly to the shoulder pads which remain attached when not in use. Cool - just an arm band, no chest vest.